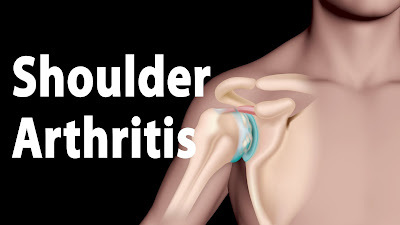 Shoulder Arthritis is an inflammatory condition in one or more joints. Inflammation causes pain and stiffness in joints. Arthritis not only affects tendons and muscles but also ligaments and joints. 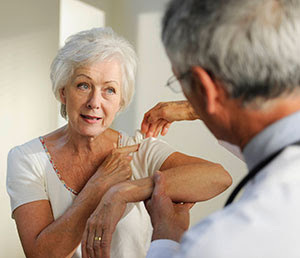 There are various kinds of shoulder arthritis known as Osteoarthritis, Rheumatoid arthritis, Post-traumatic arthritis, rotator cuff tear arthropathy and Avascular necrosis. Osteoarthritis: It is also called as a degenerative disease. This condition destroys the smooth covering of the bone. As the cartilages wear, the portion becomes rough and the protective area between the bones starts to decrease. When doing movements, the bones of the joints rub each other that ultimately causes pain. Rheumatoid arthritis: In this condition, the multiple joints throughout the body are affected. Naturally, in the human body, the joints are covered with a lining called “Synovium” that lubricates the joints to make the movements easier. RA causes swelling in the linings which in turn causes stiffness and pain in the joints. Post Traumatic arthritis: It develops after an injury such as fracture or shoulder dislocation. Rotator Cuff Tear Arthropathy: Shoulder contains a rotator cuff that connects the shoulder blade to the top of the arm through tendons and muscles. Injuries to the rotator cuff lead to Rotator Cuff Tear Arthropathy. Avascular necrosis: Shoulder AVN is a painful condition which occurs when the supply of blood to the humerus head is disturbed. As the bone cells start dying without the blood supply, the condition eventually leads the destruction of the shoulder joints and arthritis. Most of the shoulder problems are treated without a surgery. But some conditions need the surgical intervention to avoid deterioration. Conventional surgery (Open surgery) is sometimes performed to repair large tears in the rotator cuff. After the arthroscopic or conventional surgery, the patient is administered with medicines for injury healing and pain relief. A physiotherapist will teach some exercises in order to strengthen the muscles, improve the movement. Dr. Bharani Kumar Dayanandam is a well-known and the best orthopedic surgeon in Chennai who provides excellent treatment for shoulder arthritis at an affordable expense.